Welcome to Marie's Nest. We hope this site provides you a inviting insight to our cabin in the clouds. 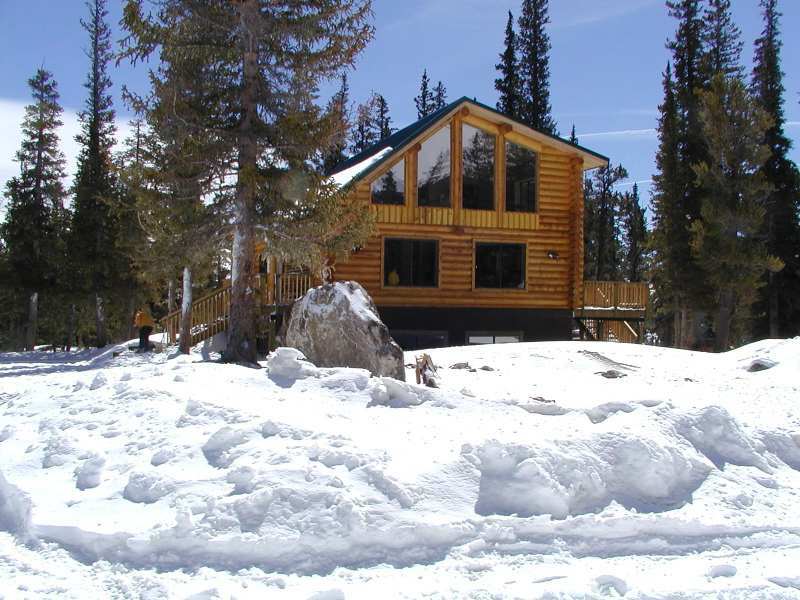 The cabin is also available for Rent and makes a great hideaway with fabulous views of 4 14ers: Mount Bross. 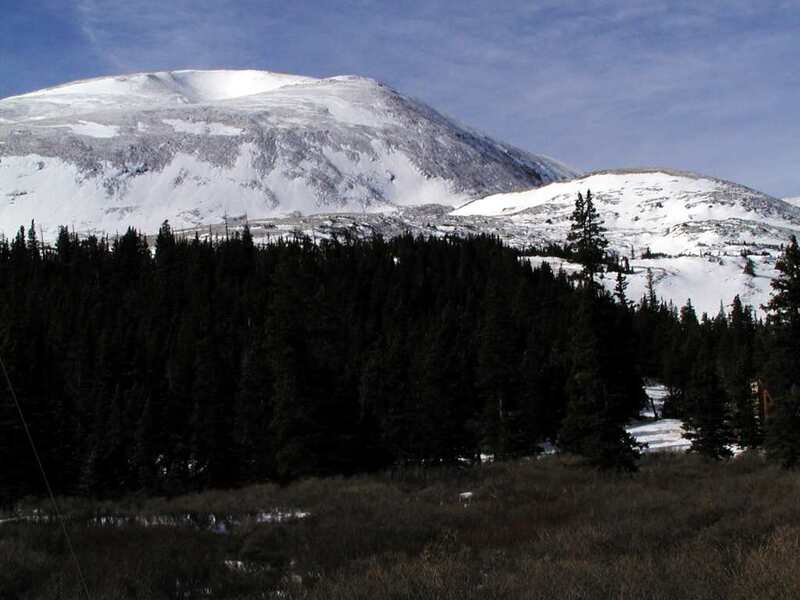 Mt Lincoln, Mt Democrat, and Mt Cameron or a launch to all major ski areas in Breckenridge and Summit County. Being only 14 miles from the ski areas you will save Big $$$ and gain space by looking at Maries Nest for your summer or winter getaway. 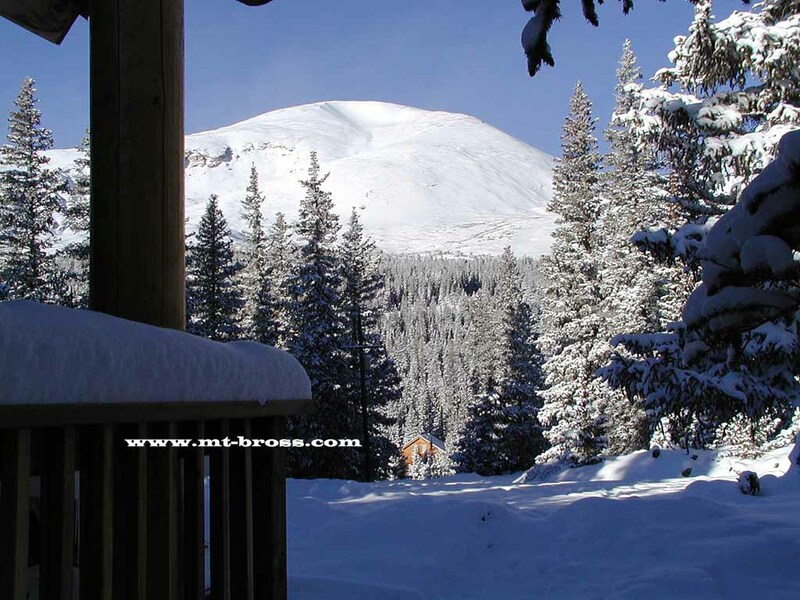 The cabin is located at 11,180 feet altitude on the side of a Fourteener, named Mt Bross (14,172 feet). It is surrounded by 4 acres of Colorado Blue Spruce and ancient Bristlecone pines, some known to be more than 2000 years old on nearby Windy Ridge.